A pleasant nostalgae dates back to the good old days. Of course the 100% Natural Hot Spring is of course the exclusive outdoor bath of the stones.You can take a bath whenever you like. 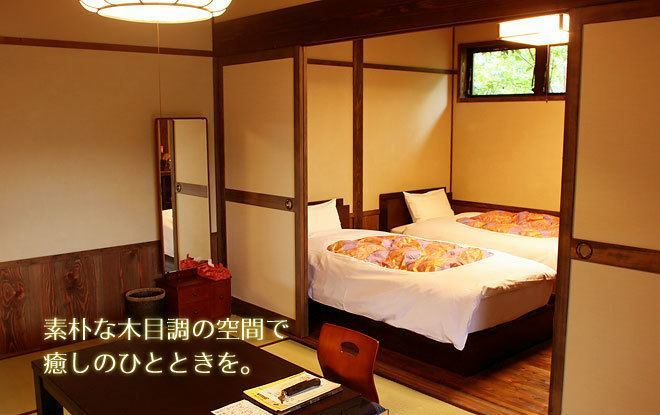 ※If you designate your room at the time of reservation, we are trying to respond as much as possible, but we may not be able to accommodate your request depending on the reservation situation.We appreciate your understanding. 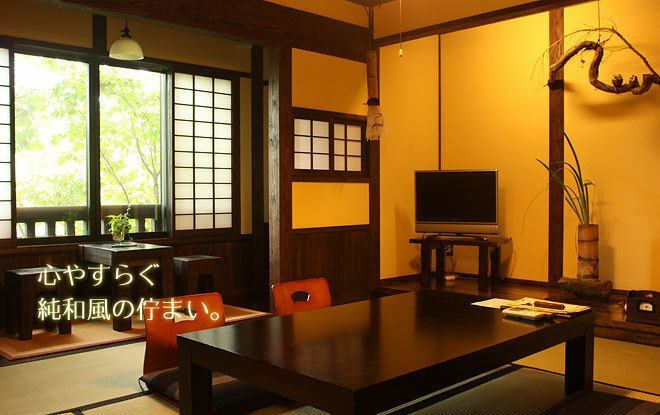 Asian interior settled in Japanese style building.By lowering the center of gravity of the whole room without putting beds etc., we offer a space that you can relax on the floor without any hesitation. 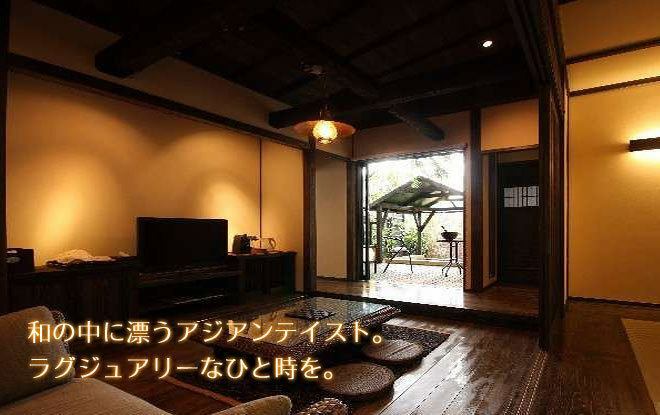 Sum of relaxing atmosphere + Western-style room.You can see the courtyard from the window. 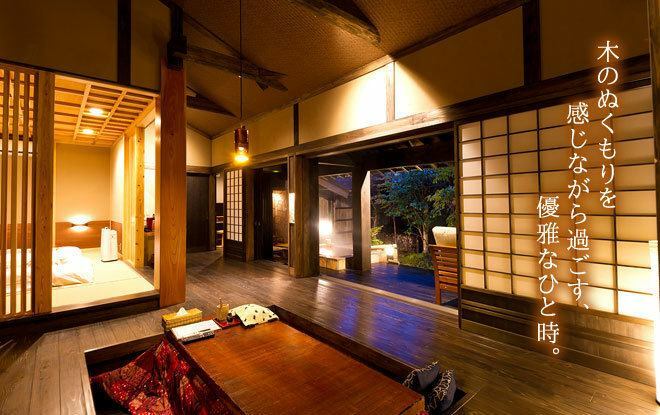 The private outdoor bath is, of course, 100% natural hot spring.You can take a bath whenever you like. 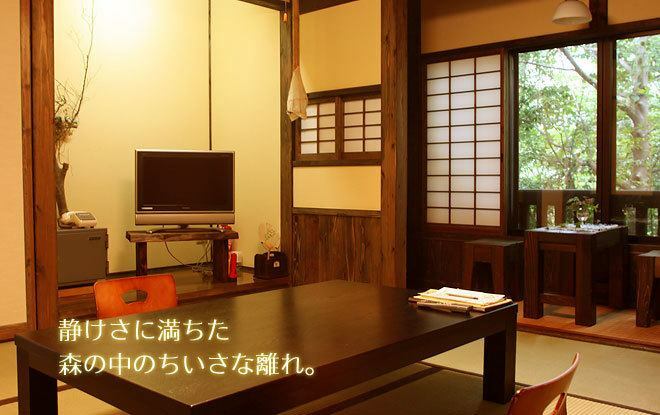 Space of healing in all Japanese rooms.Please enjoy the tranquility of the countryside. Luxury Japanese style building.The warmth and fragrance of the tree.By lowering the center of gravity of the whole room without putting beds etc., we offer a space that you can relax on the floor without any hesitation.To "Tsumugi", I will pry through the feelings of various people ...We put such thoughts in it. Design was asked to architect Mr. Sotarou Omori.